Today I have for you a new Insect Trap, the best eco-friendly alternative to indoor flying insect control! 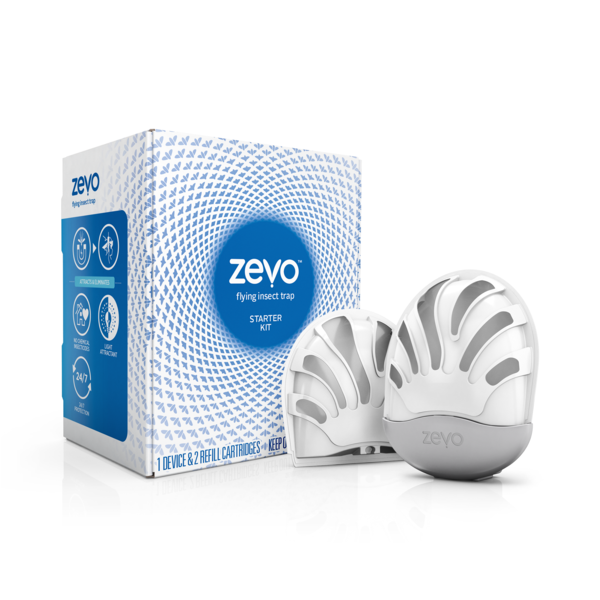 No chemical insecticides, no odors, no messes – You are going to love ZEVO as much as I do! If such a world existed I would be for sure the skinniest person on the planet! I gotta tell you, mosquitoes love me as much as I dislike them, which is A LOT. 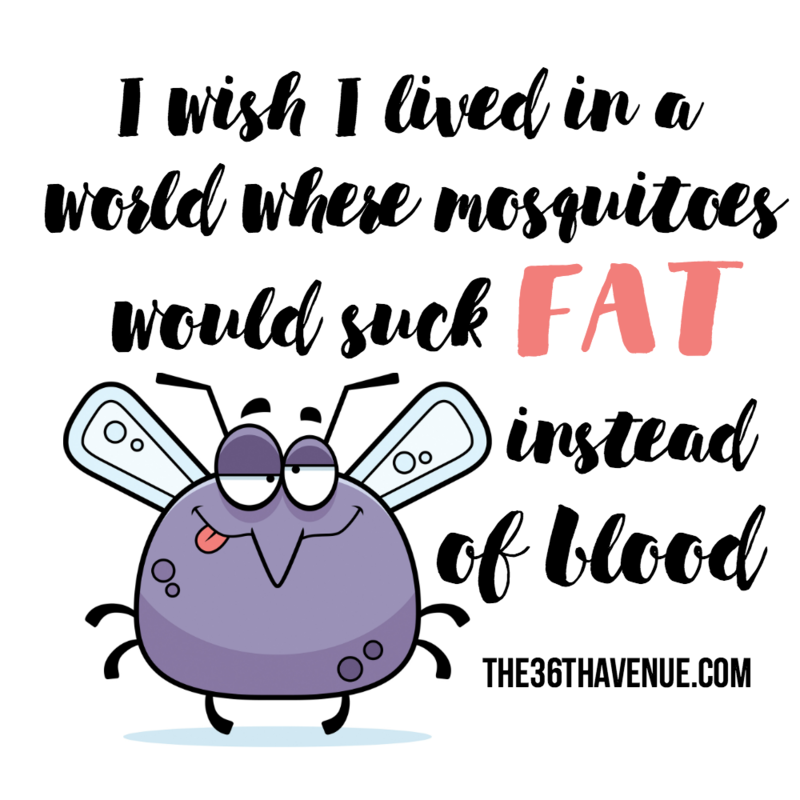 My little girl and I have a horrible reaction to mosquito bites and I must add that I DO NOT LIKE sharing any of my food, especially with flies and their cousins the fruit flies! When Zevo invited me to review their product I could not wait to try it out. I put one in my kitchen and another one in my entryway, and after seeing the results I’m putting a bunch of them in our cabin, where the entire flying insect population loves to vacation. I LOVE THIS PLUG-IN SO MUCH! Let me tell you more about it. Zevo is a new plug-in flying insect trap that has replaceable trap cartridges and has a pretty cool blue glow. I love that the cartridges are made of recyclable polycarbonate plastics that I can toss in my recycling bin. I also love that I can replace the cartridges without ever touching dead bugs – Two thumbs up from me for that! Each cartridge offers continuous protection up to 45 days or until it’s full, so plug it in and forget about it. This is how this AH-WESOME plug-in works! Did you know that the flying insects in your home are attracted to light? 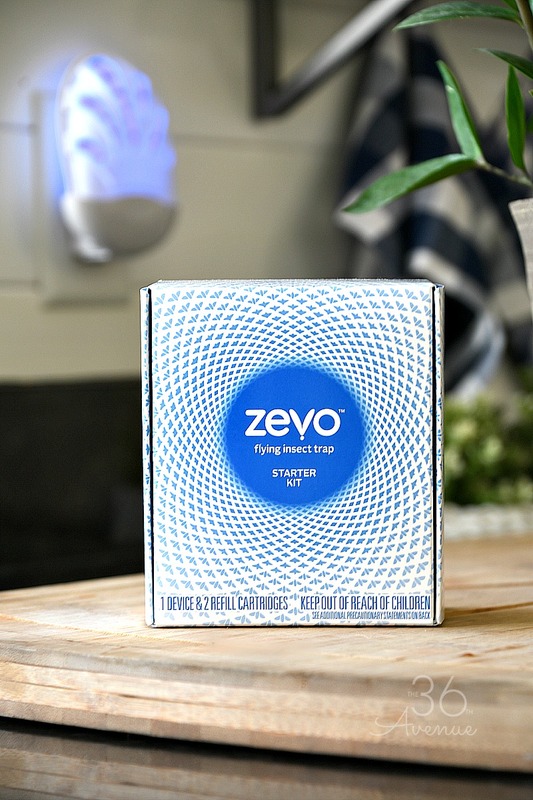 Zevo uses a blue and UV light mixture that mimics the sun and moon’s navigational light patterns to attract and trap flying bugs to a super sticky adhesive. The blue light protects all day and night while my house is chemical insecticide-free! I don’t know about you but I hate the smell of insecticides, how you have to be using them constantly, how the spray goes everywhere, and how you need to pick up the bugs – Eeew! I instantly loved the idea of plugging Zevo in the wall and forgetting about it! This product is convenient, effective, and for sure carefree! I now have a fly free house and this is actually my favorite thing about Zevo… It works! Give it a try – You are going to love it! Zevo is social, they would love to hear from you!